As you often hear ambitious men and women say, this is just the beginning. Under the benefits of working for the shield I’ve spent all season charting and collecting Reception Perception data on the 2016 NFL Draft’s crop of wide receivers. The work is far from over, but my plan is to be ready for a release of most of this data some time after the conclusion of the Super Bowl. I’m excited to gear up for another offseason of creating Reception Perception content, and furthering the reach of the methodology. However, because interest in the draft is starting to peak, and you know I have to get these takes off, I put together this small look at four of the draft’s receivers. Laqoun Treadwell, Corey Coleman, Josh Doctson and Sterling Shepard are incredible players, and some of the best this year has to offer. They’ll all compete to fit into my personal top-five rankings, and will do so for many others. These are the only four I’ve completed a full college Reception Perception sample on, which I elected to make six instead of the normal NFL requirement of eight due to the shorter status of their season. I’m still not 100 percent sure how Reception Perception results will differ when evaluating a large field of college prospects as opposed to NFL players, but we’ll likely have a good answer for that at the end of this endeavor. Expect far more in-depth Reception Perception content on these four and many other wideout draft prospects in the coming months. Keep in mind, even as we sit here today, my thoughts are far from complete on any player. For now, lets just take a look at these four’s Success Rate Versus Coverage (SRVC) scores. Before we go any further, if you found this page and you are unfamiliar with Reception Perception, thank you for checking the series out. If you need a primer or even a refresher for what the methodology is or attempts to uncover, please refer to this page holding all of last year’s Reception Perception content. You’ll see just how much you have to look forward to beyond the cursory glance here. Laqoun Treadwell is the No. 1 wide receiver in this year’s draft class, and to me, there is no real debate to have on the subject. We know that Treadwell is a maven in the contested catch game, often earning him the Alshon Jeffery comparison. Despite Jeffery’s status as one of the best receivers in the league today, that comparison doesn't do Treadwell justice. One reality that Reception Perception helps illuminate is his ability to create separation, an area that seems to go undersold. Treadwell’s attempts against man coverage (130) was by far the most among this group. His 74.6 percent SRVC against man is well in line with several NFL star players like Dez Bryant and Allen Robinson. Again, there is certainly a need for weighting and adjusting when comparing college to NFL results, but that’s still encouraging. Another way these prospect results perhaps can’t go 1-1 is the difference in conference defensive strength. Treadwell keeping pace with, or besting, his three peers here that play in the notoriously leaky Big-12 conference is great to see. Treadwell has no major holes in his game. Josh Doctson seems to be somewhat of a polarizing prospect. Some will get hung up over his age, but it does not worry me. There was a similar discussion around Kevin White last season, who still went in the top-10. Unlike White, Doctson already looks like a polished NFL receiver. Watch the highlight reels and you’ll see he’s a tremendous player in the contested catch game. Not many collegiate receivers track the ball and contort in perfect fashion to play the pass in the air like Doctson. However, don’t get fooled into thinking that is all he is. Doctson creates separation off press coverage. His 83.3 percent SRVC against press shows the refinement of his release moves. He’s also an intelligent players with an understanding of where to sit down in zones, and his SRVC facing it is currently the best charted in this class. I was on RotoViz Radio a few months back, and in a post-show conversation, one of the illustrious hosts Matt Freedman made a comparison between Doctson and DeAndre Hopkins. I’m trying to avoid player comps this year, but that one stuck with me. Much like Hopkins, Doctson doesn't have one overwhelming physical trait, but just does everything well. Don’t rule out that Doctson settles on that trajectory. 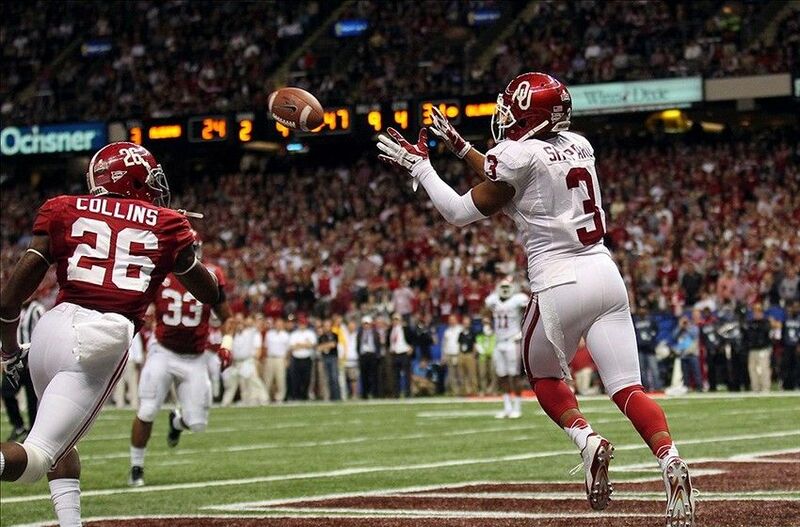 Sterling Shepard, oh let me count the ways he impresses. Back in November when charting these players, I had no idea who he was before rolling the tape and pulling out the Reception Perception sheets. He made me take notice immediately, and earned the title of “my favorite” wide receiver in this class. Shepard is bar-none the best route runner coming out of college this year, already showing great ability to execute even the most in-depth and nuanced aspects of route assignments like an NFL veteran. Revisionist history holds Odell Beckham in, deserved, elite company because of his eye-popping plays and athletic movements. However, what made him such an easy sell right off the bat to NFL scouting departments was his refinement as a collegiate. Carolina Panthers GM Dave Gettleman spoke on him after the draft and called him easily the best route runner among his peer’s in the 2014 class. I’ll never be so flippant to put a prospect in the special air that Beckham holds, but Shepard has that same easy to bite on refinement. Shepard’s SRVC against man is a whopping 7.8 percentage points better than the next highest in this group. An 82.8 percent score normalizing at that high of a rate over a full sample is a feat to take notice of. He tops it only by a 91.1 percent SRVC score against press, also 7.8 percentage points higher than the next closest mark. There are holes to pick in Shepard’s game, and we’ll touch on those in the future, but his elite strengths in the route-running department make him tough to keep away from the second spot after Treadwell. Corey Coleman figures as another prospect that there will be a ton of debate over in the coming months. The Baylor offense adds some wrinkles that evaluators will get hung up on. In terms of Reception Perception, he’s an odd evaluation, because you cannot possibly chart all of Baylor’s pass plays as routes run by a receiver. Again, it’s something we’ll touch on in a full profile of Coleman at a later date, but Baylor’s coaches instruct their receivers to just trot down the field when the pass target isn’t headed to their side of the field. That is why his attempts against coverage are so much lower than his three peers here, despite going under the microscope for the same six-game sample. At one point, Coleman’s scores looked better than they finished at here. Coleman did not sustain the same level of elite play throughout the season, and his SRVC against man diminished the most as a result. He has ridiculous high-end athletic potential to develop as a professional route-runner, but Coleman is from that point yet. However, there’s plenty to get excited about with him. One area I expect Coleman to get underrated in is his intelligence as a receiver. In that Baylor offense the receiver has a ton of responsibility to read and diagnose coverages, especially zones. Coleman’s ability to do so is reflected in a strong 80 percent SRVC there. I tend to think the positives outweigh the negatives with Coleman, but we are far from finished with this process. That’s all for now, just some short-form to to wet our lips here at the onset of draft season. Please continue to follow the series for a further look at these four prospects, more incoming rookies and then eventually NFL players. Reception Perception is back in full-swing. Buckle up.